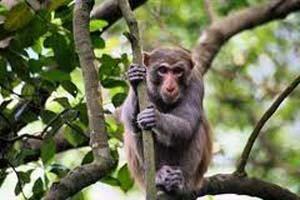 Bherjan-Borajan-Padumoni Wildlife Sanctuary is a small wildlife sanctuary with an area of 7.22 square kilometer. This sanctuary is the combination of 3 separate forests, namely Bherjan, Borajan and Padumoni. It is an ideal habitat for the Primate species. The sanctuary is rich in wildlife as many rare and endangered animals and birds are found here. Some of the mammals found in the Sanctuary are Slow Loris, Assamese Macaque, Pig tailed Macaque, Rhesus Macaque, Capped Langur, Stump tailed Macaque and Hoolock Gibbon, besides few Leopards, Wild Pigs and Giant Flying Squirrel etc. 84 species of birds have been found including Osprey, Kingfisher, Indian Pied Hornbill, Lineated Barbet, Woodpecker, Drongo, Common Mynah, Bulbul, Magpie Robin, Wagtail and varieties of woodland birds. Best time to visit Bherjan - Borajan - Padumoni Wildlife Sanctuary : Best time to visit the sanctuary is from the months of October to April when the place enjoys pleasant weather. How to reach Bherjan - Borajan - Padumoni Wildlife Sanctuary : By road from Mohanbari (Dibrugarh) Airport it is about 40 kms. away. From Tinsukia town - Bherjan block is 3 kms. away, Borajan block is 6 kms. away and Padumoni block is 5 kms. away. Where to stay in Bherjan - Borajan - Padumoni Wildlife Sanctuary : As the nearest town is Tinsukia, there are lot of hotels & lodges in Tinsukia town with all the necessary facilities available .One can stay at Banashree Eco-Camp which provides good comfortable stay along with guided tour. To know more about Tinsukia, Please click here.